What happens if you’ve been told you’re not a diabetic, but your fasting blood sugar and HgbA1c levels are high? And they seem to be trending higher, so diabetes could very well be in your future. What can you do? Your doctor is going to recommend you make some dietary changes and improve your exercise regimen. While diet and exercise are a great place to start, there are some natural preventatives to further decrease your risk of this overwhelming disease. Here are a few options. You can start with a few diet and exercise tips. These simple changes can go a long way toward helping your numbers trend in the right direction. First, don’t eat bread after noon. This will cut your carb intake more than you think. It’s not a magic solution, but it’s an easy guideline to follow. Or cut out bread and pasta all together. Second, keep dinner simple. This will help you follow suggestion number three: stop eating at 7 p.m. Don’t make an elaborate meal and then sit down to eat it at 9 p.m. And don’t raid the fridge or freezer for evening snacks. Instead, use the time you’ve freed up for step four: take a 20-minute walk after dinner. These simple changes can help you clean up your diet while increasing your exercise and lowering your HgbA1c. Once you’ve gotten your diet and exercise habits to a healthier place, you can begin making other additions. These botanical options aren’t a substitute for lifestyle changes. Now, if you’ve been a reader for long, you may roll your eyes at my first suggestion: drink green tea. Yes, I talk about green tea a lot. But that’s because it works! Research has linked green tea to improvements in everything from blood pressure and cholesterol levels to inflammation and oxidative stress. Other studies have connected it to lower rates of obesity, a contributing factor to type-2 diabetes. In fact, one comprehensive paper associates green tea with improved fat oxidation both at rest and exercise – that means green tea has the potential to help control and improve your fat digestion even when you are still. In fact, obesity is such a significant factor that researchers have been studying whether weight loss alone could lead to remission of type-2 diabetes. In one such study, the researchers found that after a year, 46% of the participants in a weight-loss group were able to get their blood sugar under control – and keep it there. In fact, one study in Taiwan linked regularly drinking green tea over the course of 10 years to lower body fat and smaller waistlines. And a study in Japan found that participants who drank six cups or more daily slashed their risk of developing diabetes by a third compared to those who drank less than a cup a week. Green tea contains a powerful catechin called epigallocatechin gallate (EGCG). EGCG is responsible for many of the anti-obesity effects of tea. And if you switch from sugary beverages to green tea, that helps too. Of course, excess blood sugar is also a major contributor to diabetes. Research has found that EGCG can also reduce blood glucose levels and stop tissues from absorbing glucose. In fact, EGCG may even mimic the effects of insulin. This helps prevent the liver from overproducing glucose. And it helps keep insulin at healthier levels in the body. EGCG’s effects can help prevent blood sugar spikes if you drink green tea with meals. Particularly if you’re already diabetic, this is a good strategy to help you stay even throughout the day. I’ve been championing the benefits of green tea for years. So I hope you’re already drinking it regularly. Others may have tried it but just don’t enjoy it. If you’re in either camp, there are some other strategies you can try to further lower your diabetes risk. Again, diet and exercise are key components of weight loss. A team of researchers conducted an extensive study to identify natural compounds that act similarly to metformin. They found ginsenoside, a compound from ginseng, to be an excellent match on both a genetic and a pathway level. Withaferin A, a compound of ashwagandha, was also a great match. I’ll talk more about that one later. Traditional Chinese medicine has used ginsenosides from ginseng for centuries. This natural compound has anti-carcinogenic, anti-inflammatory, anti-allergic, and anti-hypertensive benefits, to name a few. And several studies are adding anti-diabetic to the list. The two most commonly used forms of ginseng are American and Asian. Both have numerous health benefits. But American ginseng is typically the focus of diabetes studies because of its effects on pancreatic cells. It seems that both forms of ginseng can help regulate blood sugar levels. And they help both diabetics and non-diabetics. One review study that analyzed eight studies of the effects of ginseng on patients with type-2 diabetes or impaired glucose tolerance found that ginseng could improve fasting glucose for both groups. That’s definitely a good start. But an underlying problem in diabetes is the death of pancreatic beta cells. The loss of these cells in diabetic patients leads to complications. American ginseng may be able to help. American ginseng is an excellent choice if you are a woman 50 or over and your blood sugar is high. If you’re on the path to diabetes – or you’ve already developed it – your pancreas is suffering. Studies have found that American ginseng root extracts can help. They change cell metabolism to help pancreatic beta cells. They increase insulin and energy production, taking some of the burden off of the pancreas. And they reduce cell death in pancreatic cells. This creates a beneficial cycle as the surviving cells are also able to chip in and improve overall function and insulin production. American Ginseng has the added benefit of decreasing oxidative stress as well. Sugar is a major contributor to oxidative damage. If your blood sugar has been elevated for a while, you do need to get it under control. But you also need to clean up the damage it has caused. Research shows that ginseng leaf and berry extracts provide antioxidants that can mop up free radicals in fat and muscle tissue in addition to the pancreas. And they will decrease the source of this oxidative stress as they reduce blood sugar. Speaking of stress, if you’ve sought out natural solutions to anxiety or feelings of overwhelm before, you may be familiar with my final suggestion for decreasing diabetes risk. Withania somnifera, also known as ashwagandha, is a powerful medicinal herb. I often recommend it to my patients who are struggling with anxiety or keeping their stress hormones in balance. And there’s evidence to suggest it can help keep you from worrying about developing diabetes as well. One study in rats found that ashwagandha could improve insulin sensitivity in rats. The rats who received an ashwagandha extract experienced improvements in blood glucose, HbA1c levels, and insulin compared to the control group. The researchers concluded that the WS helped normalize blood sugar levels through its effects on insulin sensitivity. Another rat study found improvements in various lipid levels as well. In humans, ashwagandha can help decrease diabetes risk by reducing obesity rates, which we discussed above. This herb helps regulate leptin, a hormone that affects hunger and satiety. Leptin imbalances can trigger people to overeat, contributing to weight gain and diabetes risk. When leptin was first discovered over 20 years ago, researchers were very excited about the possibility of harnessing it to combat obesity. But it’s taken quite some time to figure out how to do that. Researchers in the Division of Endocrinology of Boston Children’s Hospital finally began to find some answers when they studied ashwagandha. The researchers found that ashwagandha helped obese mice reduce their food intake and lose weight. It helped sensitize them to leptin so that they ate more appropriate amounts. This strategy even worked for mice genetically designed to be predisposed to diabetes. We know plenty about ashwagandha’s positive effects in humans. So I definitely think it’s a good place to start if you’re trying to avoid diabetes. It can also help you reduce the stress that could be driving you to some of your unhealthy behaviors. If you’re at risk for diabetes, I hope you’ll take action right away to avoid it. 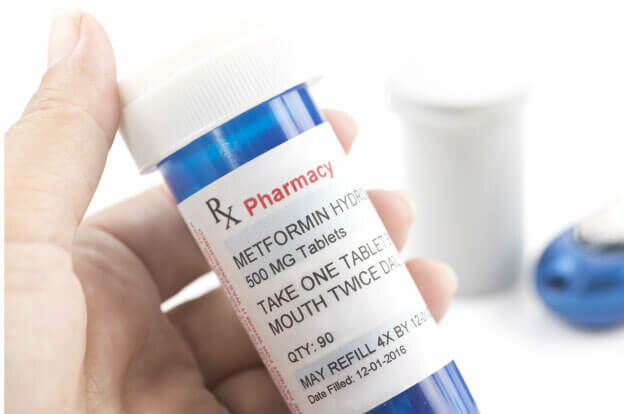 If your doctor recommends Metformin, please know that a large-scale study found that it can have a lot of benefits even for diabetics and pre-diabetics. Diabetic patients who received metformin actually had small but statistically significant improvement in life expectancy compared to a control group of non-diabetes. And metformin does have anti-cancer and anti-cardiovascular effects. So it can be helpful for diabetics, particularly those who are willing to make lifestyle changes to try to beat diabetes. Without such changes, diabetes will progress to the point that metformin is no longer a sufficient treatment. If you make progress with Metformin and it’s simply not enough, you may want to add berberine and start drinking four to five cups of green tea daily or one tea of high quality matcha (Aiya can be found on Amazon). Berberine, an isoquinoline alkaloid extract and a traditional Chinese herb extract, has been shown to be safe and effective in lowering blood sugar, alleviating insulin resistance, and moderating type-2 diabetes mellitus and many of its complications. The bioavailability of berberine is low, suggesting that it may play a role in lowering blood sugar and lipid by regulating intestinal flora. Intestinal microbiota may serve as a new potential target for berberine treatment of type-2 diabetes mellitus. 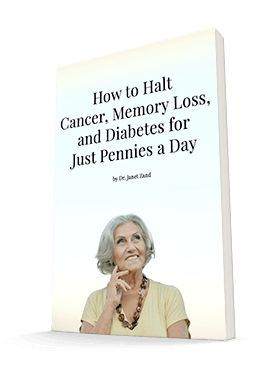 The solutions I’ve told you about have a number of benefits beyond reducing your risk of diabetes. And they don’t carry risks that many of the drugs do. Choose one to start, berberine would be my suggestion, as you make some of the diet and exercise changes. Diabetes is becoming much more common but no less deadly. I’d certainly like you to contribute to the growing number of seniors alive in the coming decades. But I’d prefer for you to avoid the diseases that often plague that cohort. Berberine, Green tea, Ginseng, and Ashwagandha can help you do that.